The FCCLA Financial Fitness national peer education program involves youth teaching one another how to make, save, and spend money wisely. Through FCCLA’s Financial Fitness program, youth plan and carry out projects that help them and their peers learn to become wise financial managers and smart consumer. The goal of Financial Fitness is to inform and inspire teens to sharpen their skills in money management, consumerism, and financial planning. Although the income of your typical teen is limited, they tend to spend a tremendous amount of money. This program will help students learn to manage their money wisely. Teens who learn to handle their finances will become adults who know how to manage their money in order to build better lives for themselves and their families and to strengthen the economy. Inform and inspire teens to sharpen their skills in money management, consumerism, and financial planning. Create a national network of young people who use teen-to-teen communications to share information. Provide teenagers with an opportunity to develop communication and leadership skills by being peer educators. 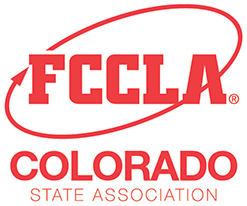 Colorado FCCLA offers two types of state recognition to chapters that complete Financial Fitness projects.